The content for TechBash is really looking good. Ok, I am biased a bit because I am helping to run the event . Are you considering ASP.NET Core for your next project? In this session, join one of the Microsoft program managers responsible for this new development platform as we take an in-depth look at the new ASP.NET Core platform. We will cover how the new .NET command-line interface enables you to build applications inside and outside of Visual Studio. We’ll look at how to use ASP.NET Core with docker and how you can build re-usable components with NuGet integration. Attendees of this session will have a deeper understanding of the topics they need to deliver more effective and faster applications with ASP.NET Core. If you don’t know Jeff, you should. For us Philly locals, Jeff is well known as he is one of us. He’s been speaking in our area for years (I’m pretty sure was at his first talk ever) and now he is a Senior Program Manager at Microsoft! Not only that, he’s a great presenter and writer! Yes, this is a great opportunity to get the info from someone who really knows his stuff. We are really lucky to have Jeff with us at TechBash. You can see Jeff’s full bio and view all of the sessions (although the list is still growing) on the TechBash website. With the cross-platform version of .Net, Microsoft has had to rewrite many of the core components that we have come to depend on. If you include data in your applications, chances are you have used Entity Framework in the past. In this session, you’ll learn how to get started using EF Core and how to handle the changes in this version. Lucky for us, Jim Wooley is traveling to us from Atlanta. He’s the author of the popular “LINQ in Action” which is an awesome book. He’s also a great, popular presenter at conferences around the country. You can see Jim’s full bio and view all of the sessions (although the list is still growing) on the TechBash website. Title: A Lap around ASP.NET Core 1.0! Man, naming products is hard! But change is in the air for ASP.NET developers, as vNext ushers in a new era. Let’s talk – .NET Core | ASP.NET Core 1.0 | Open Source | .NET Frameworks Changes| ASP.NET Runtimes | WebForms | MVC 6 | Cross-Platform Tooling | Omnisharp.NET | Homebrew | Yeoman | CLI with VS Code or Sublime Text | Docker. Join me as we explore all that’s new & shiny. This is one of the best times to be an ASP.NET developer – let me show you why! Did you read the summary above? Can you see how much there is for us to learn to be ready for ASP.NET Core? Sam Basu is coming in to help us out. Sam Basu is a Developer Advocate at Telerik (now Progress). He’s also a popular speaker and you are sure to learn a lot. You can see Sam’s full bio and view all of the sessions (although the list is still growing) on the TechBash website. NOPE! There will be lots of other great sessions at TechBash 2016. Please check out the current list on our website. I’ll try to highlight more soon. Purchase your tickets and book your room now! We have a limited number of tickets and hotel rooms. Posted in .Net, asp.net, C#. 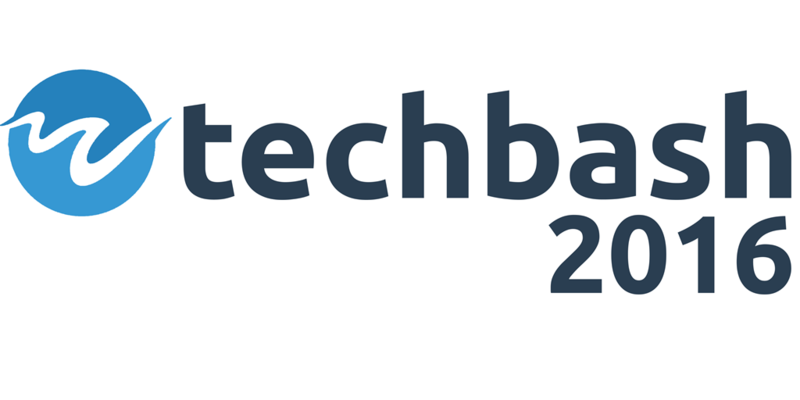 TechBash 2016 is a brand new developer conference taking place on September 28-30, 2016. I’m one of the organizers along with a small group of friends from the developer community. TechBash will feature great presentations for you by a variety of awesome speakers from around the country. Our venue, the Kalahari Resort is really cool. It is a brand new Resort, Conference Center, and 100,000 sq. 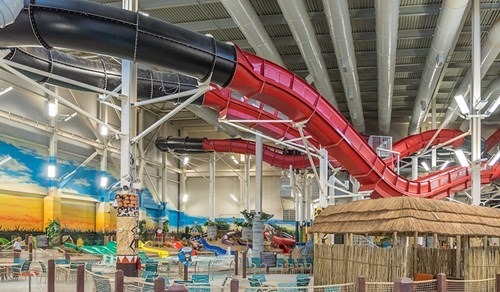 ft. indoor water park! 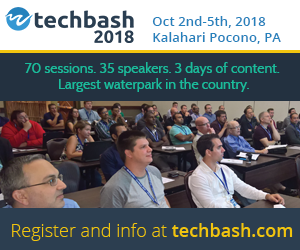 TechBash is located in the Pocono Mountains in PA. That means it’s not only a beautiful setting but it’s close to many people living in the northeastern US. It’s less than a 2 hour drive from New York City, Philadelphia, and northern NJ. 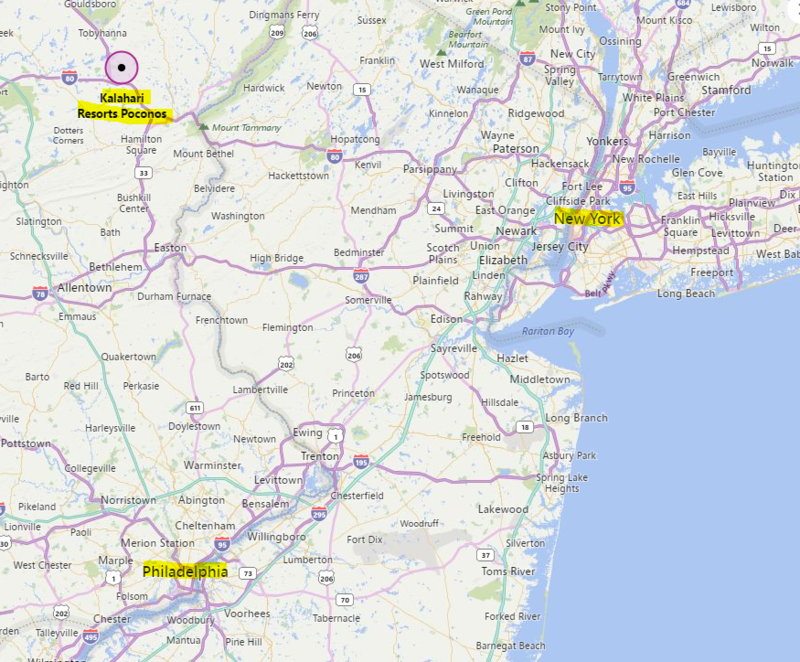 And this location is still within reasonable driving distance of many other cities in the northeast! Our goal is to inspire our attendees to build great things. At TechBash, we are building an environment that is designed for attendees to get the most out of the event. In the many sessions at TechBash you will learn all sorts of new things. But we know that a lot of great things happen outside of the talks as well. That is why we will have a great attendee lounge that will have plenty of space for you to hang out and talk with old friends and new. It will provide a great place for speakers and attendees to have follow up talks after sessions. There will be snacks and coffee. And it will also include our Hack Lab and our vendors as well. The Hack Lab is a space for our attendees, speakers and sponsors to collaborate, brain storm, hack and even demo the results! TechBash is a community driven, non profit event (although not a charity) organized by the TechBash Foundation. 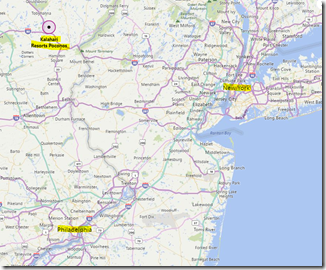 As I said above, TechBash is pretty close for many people in the northeastern US. Sure, those of you from NYC to Philly are all set with a simple 2 hour drive. But if you are from DC to Boston to Pittsburg and beyond, this location is a reasonable drive for a 3 day event! Here are some drive times (according to Google Maps – your times may vary ). No air travel required! Ok, so you are headed out for a 3 day tech conference. That doesn’t mean you can’t have some fun too! We’ll fry your brain all day long with tons of great content that you can take back to the office and put to good use. But in the evenings, why not enjoy the 100,000 square foot indoor water park? 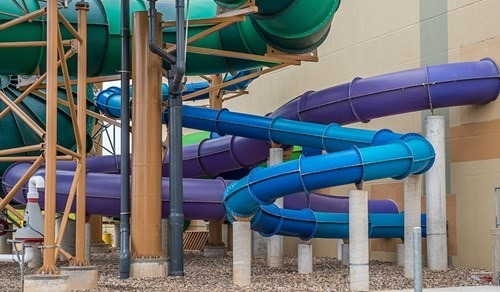 TechBash is hosted at the brand new Kalahari Resort and Convention Center. Yeah, it’s a state of the art conference center and great hotel. But they have restaurants, a Spa, an arcade, indoor mini-golf, hiking and more. 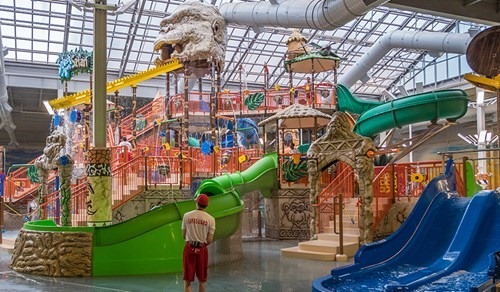 Oh, did I mention the 100,000 square foot indoor water park? Yes and no. We know that other similar conferences have kids’ tracks and family content. Plus, there is the water park. While the venue is certainly family friendly, TechBash won’t have any family content in year one but it is part of our long term plan. Let’s get through one year with content for the “big kids” only. But if you want to bring your family, please do so! We are sure they will have fun! We’d love to work with your company as a partner to help make TechBash 2016 even better. Check out our website and our prospectus for more info and then contact me to get things started. Want to help out while you are at TechBash? Yeah, we’ll need some help running this event. If you want to help out, sign up, there is a simple form on the bottom of the website. Click here to purchase a conference ticket on EventBrite. Book a room at the Kalahari. Just call 1-855-356-9208 and mention TechBash to get the best rate. Thanks for reading. I’ll post more information about TechBash soon.